We Are sold out on our boat for the level 2 from March 31-April 6. You are welcome to join a waiting list sIF THERE IS A CANCELLATION, or you can also choose to join us for Kundalini Egypt in Luxor and Cairo. April 6-11. Integrate the energy of the relationship you have with your own self to the great macro self - the all that is. Love is not what you think love is. To be authentic as individuals, and to experience love fully, we must embrace our identity and refine our projection. Pharaonic culture perceived G-O-D in all things and perceived the hand of God in all aspects of life. 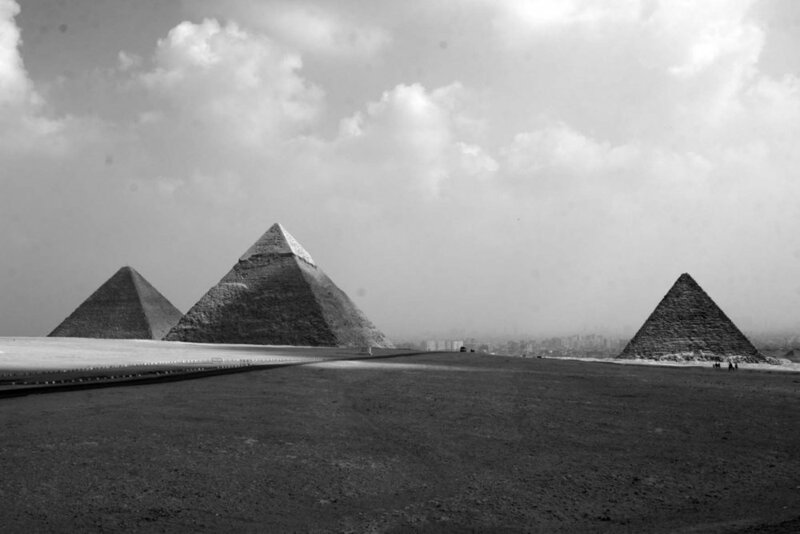 This vision permeated the geographical and topographical features of the land and the flow of the Nile itself. This course will enable us to re-examine our relationships with ourselves and with others. To release the past and reshape our world, set our intent and reach out to our destiny. This intensive experience comprises powerful Kundalini Yoga kriyas, meditations, lectures and discussions plus taking some time to be in the presence of sacred sites. Space on the boat is limited so please reserve your space soon. This course is in Egypt and will therefore be a different and unique experience from your initial course. Each manual of level two contains material for about 18 days so this is your opportunity to be led further into the teaching while experiencing a sacred land which has its own tradition of risen kundalini. This is a retreat and a Yatra not merely a training course. You are welcome to apply. Please read below under "Requirements" and reach out to us if interested. 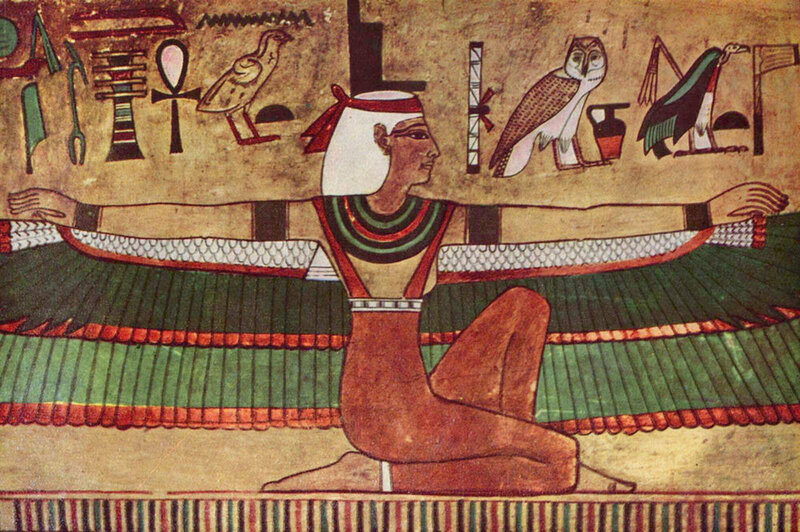 Egyptian Pharaonic culture was a standard bearer of Kundalini practice and had mastered many aspects of esoteric and magical lore that were then kept and taught in their great mystery schools. This journey makes time for us to visit magnificent Temples of Inner Illumination and to practice Kriyas which engage the Tattvas (the elements) and give an experience of deep awakening. **This requires a internal flight within Egypt. Tickets are limited so early registration is essential to secure space. Late registrants cannot be guaranteed this visit, or flight ticket may be much higher in price. 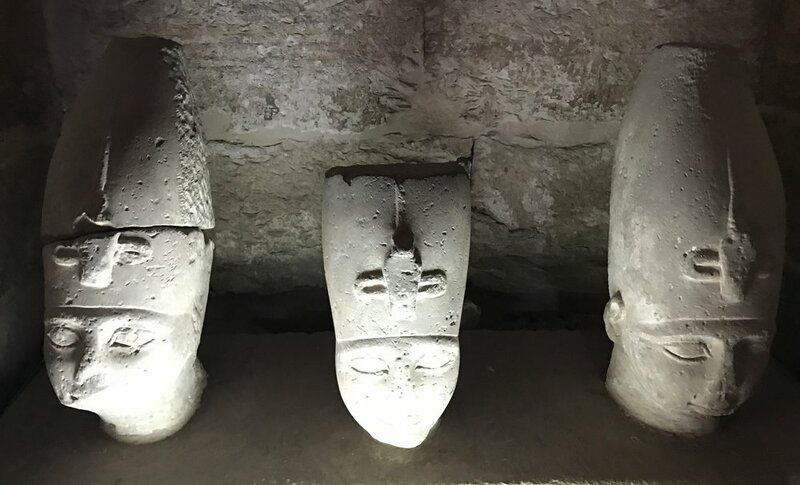 ***Entrance to the Nefertari Tomb has been added in the retreat price. A Dahabiya is a specific sailing passenger boat used on the river Nile that allows you to explore the ancient sites of Egypt in a traditional way. The great explorers and those completing the Grand Tour would have sailed the Nile* on these types of boat. The Dahabiya will take you on a Luxury small Nile cruise boat which combines historical and mystical sightseeing with the peace and tranquility of a Nile cruise as you dreamt it should be. 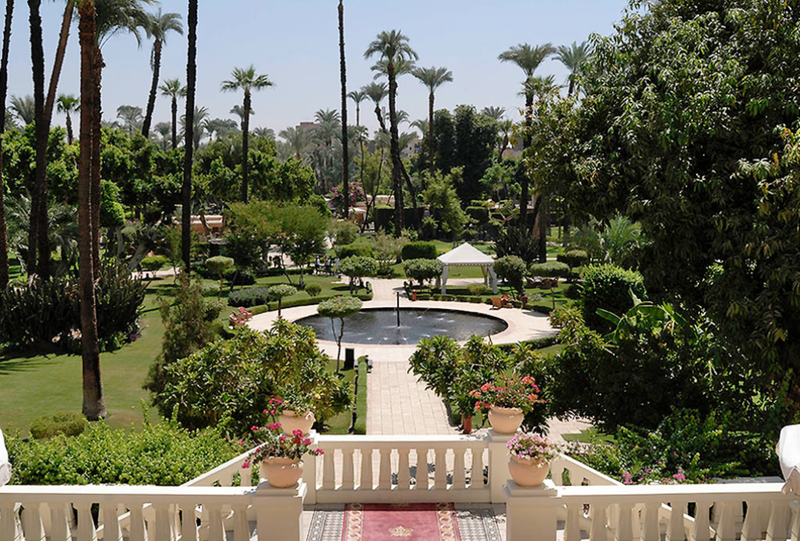 The 5-star Sofitel Winter Palace in Luxor was built in 1886 on the banks of the Nile and is surrounded by century-old Royal Gardens. The hotel overlooks the Nile and the West Bank Necropolis. It is an oasis of tranquility - and a gateway to the splendors of Pharaonic times. Come and in an atmosphere steeped in history - all while enjoying the modern conveniences this 5-star hotel provides. The Mena House is one of the most unique hotels in Cairo, with its own rich and colorful history. Surrounded by 40 acres of verdant green gardens, this palatial hotel is located in the shadows of the Great Pyramids of Giza in Cairo. The royal history of the hotel is reflected in luxurious interiors that are embellished with handcrafted furniture, original work of arts and magnificent antiques that are rarely found in luxury hotels. **Space is limited! A full or partial ($1000% or 50% of the total registration) fee is required by December 15 th or sooner to secure your spot with the remaining balance due on January 15 for pre-reg. Please do NOT book your airline tickets until we have confirmed that the journey is running. Ideally applicants will hold a KRI level one Certificate in Kundalini Yoga. Experienced Kundalini Yoga students or yoga teachers and students of other traditions may apply for the course and will receive a certificate of attendance upon completion.. Only KRI certified Level 1 Instructors may be certified as KRI level 2 Practitioners. This course is transformative in its nature, and participants should be grounded in a recognizable perception of reality. We require applicants to notify us of any pre-existing health issues and reserve the right to defer further instruction at anytime, and indefinitely, in the interests of your own well-being. Guru Dharam has taught Kundalini Yoga since 1979. He founded the Lotus Healing Centre, a multidisciplinary holistic facility, in London in 1989 and served as the Vice Principal of the London Academy of Oriental Medicine until 1997. His formal qualifications have been complemented by his intensive, interdisciplinary, postgraduate study of the esoteric - the Kabbalah, Mesoamerican Shamanic Dreaming, West African healing practices, and many years study of the Mastery Path, White Lotus healing, Black Hat Feng Shui, and the Red Thread empowerments. Since 1980, Guru Dharam has developed a practical system of Yogic Therapy, applying the science of Kundalini, mantra, and visualization, to help empower many thousands of people toward healthier and happier lives. As Director of the Kundalini Medicine Initiative, Guru Dharam has developed International Kundalini Yoga Therapy Training as a safe, effective and therapeutic complement to the mechanics of western medical practice. Guru Dharam is recognized as a highly experienced teacher, taught directly by Yogi Bhajan. He is registered as a KRI Mentoring Lead Teacher Trainer in Levels 1 and 2. Siri Sat embodies an elegant and precise approach to the teachings of Kundalini Yoga. She is a Lead Teacher Trainer with a specialty in Posture and Alignment enhanced by earlier training as a professional dancer and choreographer. She is the coordinator of the Kundalini Medicine Yoga Therapy Training worldwide and a certified Kundalini Yoga Therapist well grounded in Sat Nam Rasayan and other forms of energetic healing. She has an international profile and extensive experience of teaching in a wide variety of arenas with a home base in New York as part of the Golden Bridge Yoga NYC teaching team since its opening. Siri Sat is the Founder/Director of Kundalini Yatras Inc., leading meditative journeys to sacred lands such as India and Mexico and now Egypt. She is known for teaching with clarity and impact as well as warmth and a sense of humor. She feels blessed to have completed her training directly with Yogi Bhajan.